Enjoy Cinema Quality Images and Sound in the Comfort of Your Own Home! 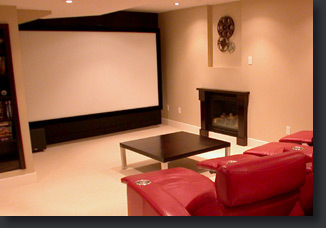 Everyone has different wants and needs when it comes to creating a home theatre system. At Musonic, we work with you to ascertain your needs and recommend the best equipment for your particular home theatre space and budget. How can I future-proof my system? What is the difference between Dolby Digital and DTS sound? Why should I invest in THX-rated equipment? Where is the ideal spot for my subwoofer? How important is timbre-matching my home theatre speakers? What do I need in order to fully enjoy HDTV?